Press Release, Moscow, 08/11/2017: General Director of the RILOS company Arnaud Trousset, editor of Geomatrix, an online SaaS predictive analytics solution for the retail industry, and proud member of #frenchtechmoscow committee, took part in PropTech Russia Round Table. Innovative technologies in shopping center footfall data collection and analytics. 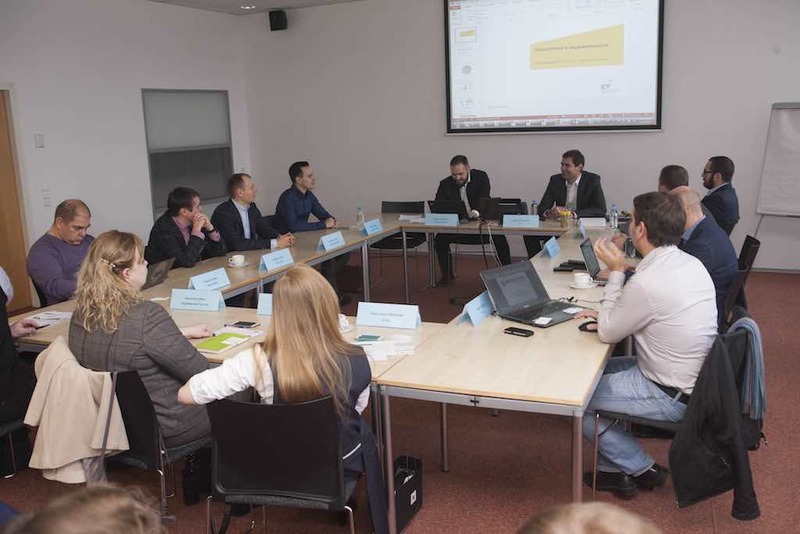 The aim was to identify the best innovative practices of collecting and analyzing data on visiting customers in shopping centers and related applied data science in connection with that data.The event encompasses shopping center property managers and technology developers who have successful implementation track records of related technologies. Participants: EY, Cushman & Wakefield, Reed (MIPIM), Kievskaya Square, Avica, ADG Group, Crocus Group, Vladimir Passage, MallTech. Developers who presented their technologies: Rilos (Geomatrix), NGO Analytics (Retail Instruments), Lanit OMNI, OneFactor. Arnaud Trousset presented a dedicated case on how shopping centers can forecast their new projects potential footfall and forecast potential footfall dynamics based on new redevelopment schemes, benefiting from the expertise of advanced start-ups such as Geomatrix. Geomatrix is an online SaaS solution, allowing retailers to conduct expansion and marketing researches independently and without any knowledge of GIS technologies, in more than 67 countries.